Real life doesn’t always allow for days or weeks devoted completely to decluttering, but it is possible to make real decluttering progress in the midst of a busy schedule. It is possible to declutter without making a bigger mess. Dana’s decluttering strategies eliminate emotions from the process. 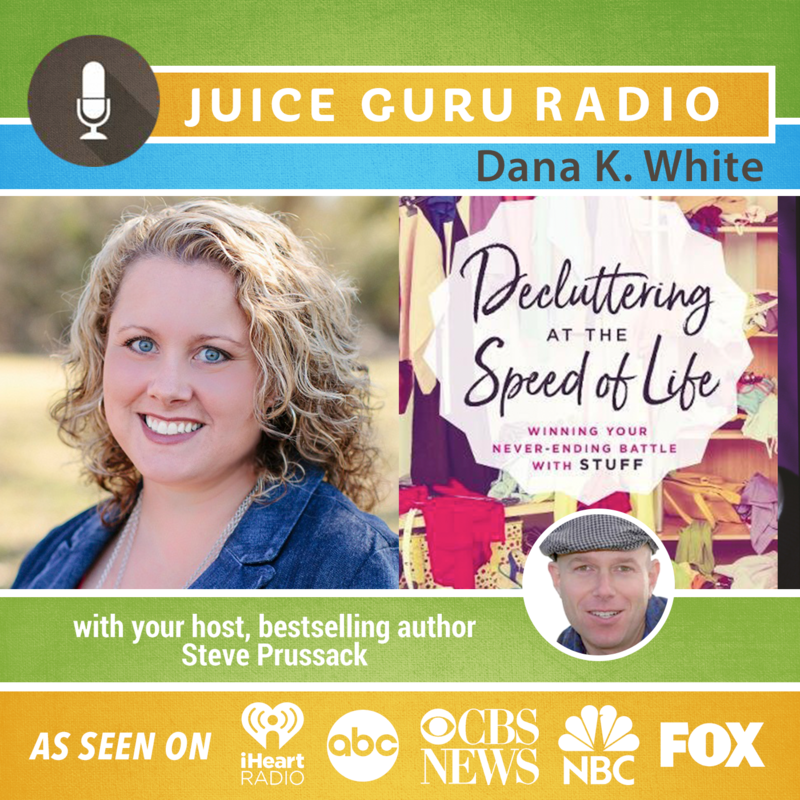 About the guest: Dana K. White is an author, podcaster, speaker, and (much to her own surprise) a decluttering expert. In an attempt to get her home under control, Dana started blogging as “Nony” (short for anonymous) at A Slob Comes Clean. Dana soon realized she was not alone in her housekeeping struggles and in her feelings of shame. Today, Dana shares realistic home management strategies and a message of hope for the hopelessly messy through her blog, weekly podcasts, and videos. Dana lives with her husband and three kids just outside of Dallas, Texas. Oh, and she’s funny. Find out more about Dana here.